Auntie Ginger and Shirley E and Denny finally returned from Melbourne so Friday night we went to eat again .. haha, this time we went to 名人坊高級粵菜 .. the food were good.. the most funny thing was Ah Tung created the new English Slang “SAY WHAT NINE”. Saturday lunch was a school mates gathering and birthday celebration for Marta and Winnie. 8 of us went to Cadero Grill and Oyster Bar, they were having the promotion buy four get one free. The food was quite decent with reasonable variety and attractive price. Worst thing was they only arranged the cakes for the birthday girls but the usual practice of instant photo taking had been omitted. As usual, our loud discussion had spoil the environment. 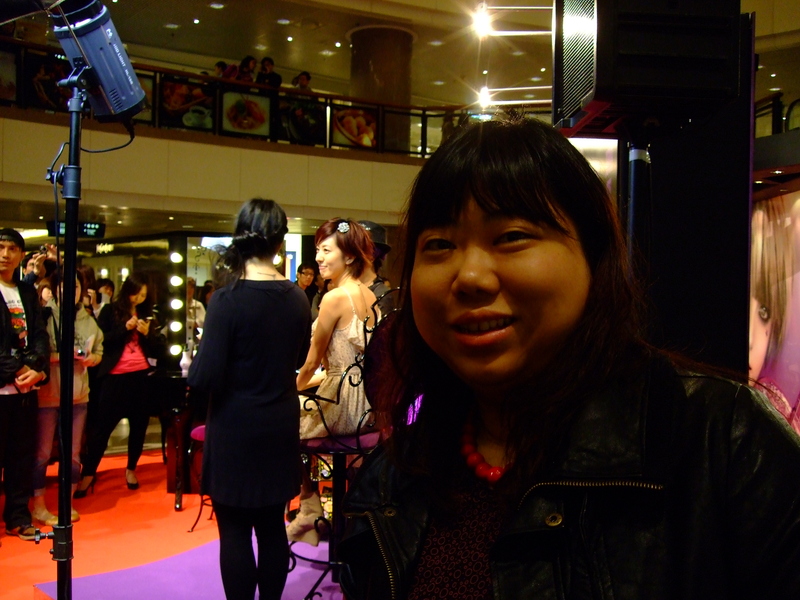 At the ocean terminal, we saw a cosmetic roadshow, the star 唐詩詠 was there. The most shameful thing was Marta shout her name as 唐 詠 詩 in a super loud voice.. My god, everyone was looking at us, we all ran away from the scene. Saturday night, again was a movie night for 未來警察 as I must support my dear Andy. I regret to mention the film was really disappointing, I am sure this is the fault of 王晶 not my Andy. Great Pic taken by great people! No doubt, comments are coming from Andy’s Fans!